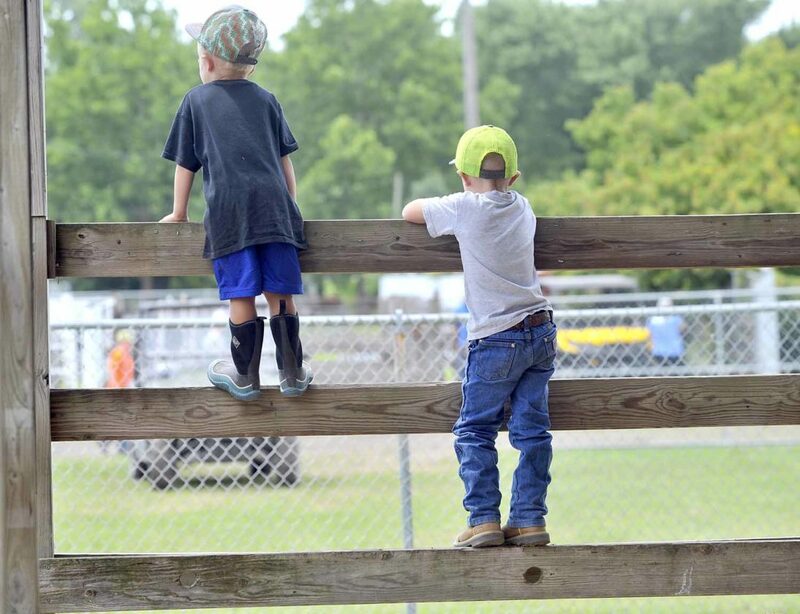 Cash Freimuth, 5 of Lytton, left, and Ford Patterson, 5, of Jolley, look over the Calhoun County Expo from a fence along the show barn Friday afternoon. 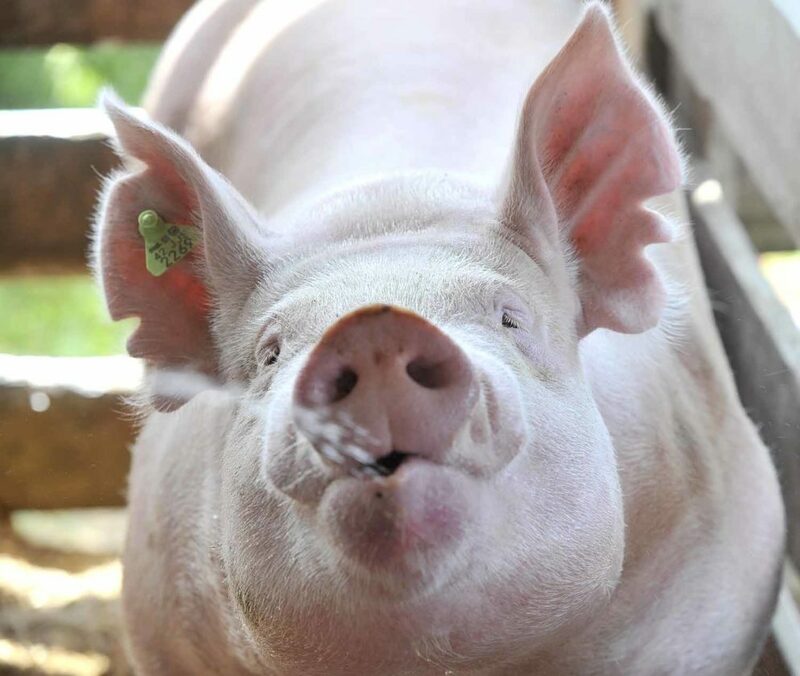 There’s nothing like a nice drink of cold water on a warm day as a pig belonging to Morgan Vogel, 16, of Lohrville, gets a watering Friday afternoon at the Calhoun County Expo. Marcus Vogel, her older brother, was helping out with the fair chores. 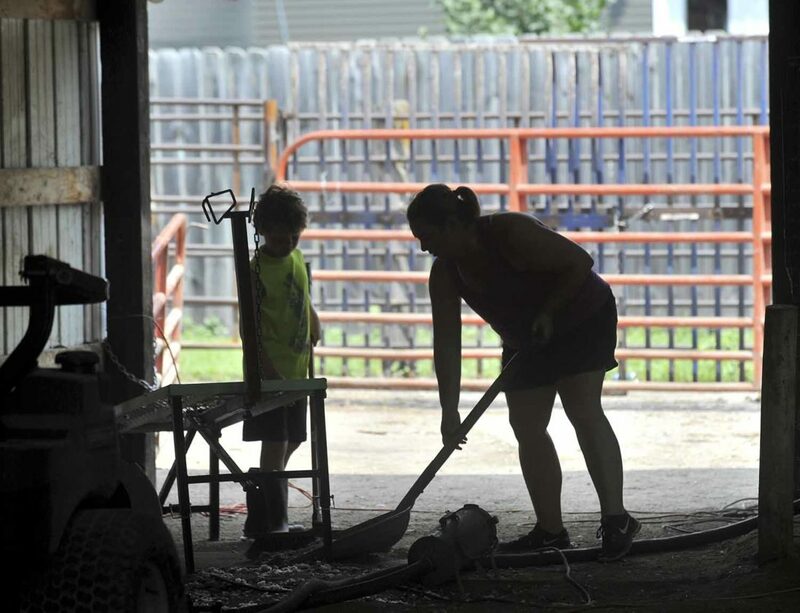 Thomas Stangl, 11, a member of the North Butler Blazers 4-H Club, tries his best to keep Missile from burying her head in the cool wet sand of the show arena Friday afternoon at the Calhoun County Expo. Tyjah Sease, 12, of Rockwell City, a member of the Logan Larks 4-H Club, uncovers herself after her friends covered her with corn Friday morning in the Family Fun Barn at the Calhoun County Expo in Rockwell City. 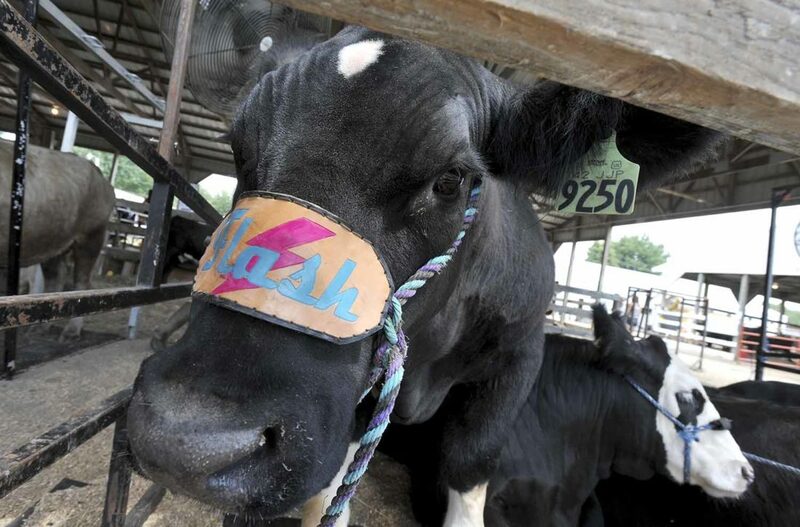 Flash, a crossbred steer belonging to Bailey Vainreb, of Pocahontas, proudly wears his name Friday morning at the Calhoun County Expo in Rockwell City. Breanne Melody, of Lake City, cleans up wool after shearing one of the sheep being shown by her family at the Calhoun County Expo. Her son, Aiden Melody, 7, watches at left. He was showing Snowball in the bottle lamb category. 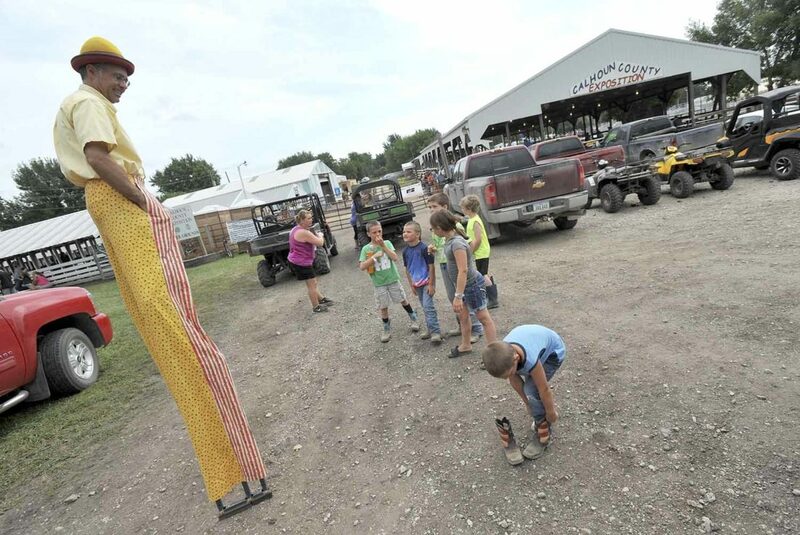 Logan Juilfs, 5, of Pomeroy, stops to put his boots back on Friday morning as entertainer Dan Kirk, of Menosha, Wisconsin, works the crowd at the Calhoun County Expo in Rockwell City. 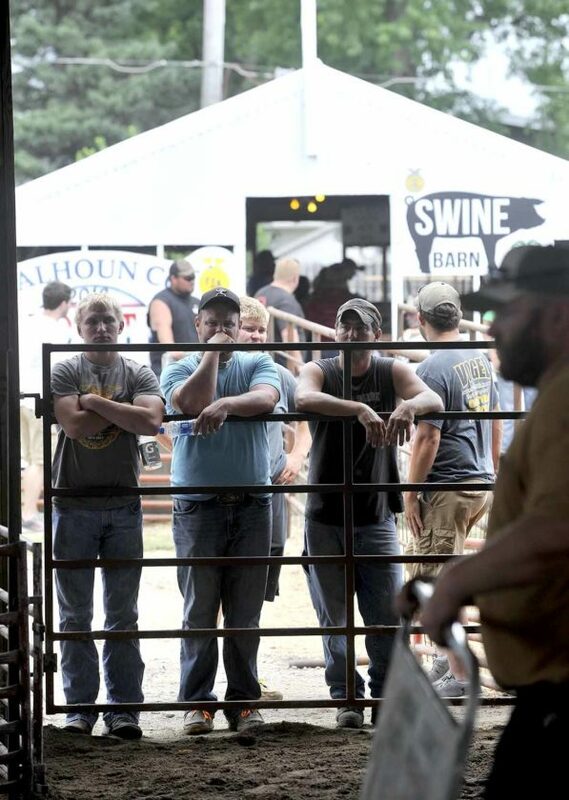 Colin Corey, at left, of Lytton, Josh Freimuth, of Lytton, and Shawn Burke, of Pomeroy, watch the Swine Show Friday morning at the Calhoun County Expo in Rockwell City. Bailey Vainreb, of Pocahontas, a member of the Pilot Creek FFA Chapter, works on getting Smoke and Little Smoke all spruced up at the Calhoun County Expo in Rockwell City Friday morning. The two Charolais will compete in the Cow/Calf event. 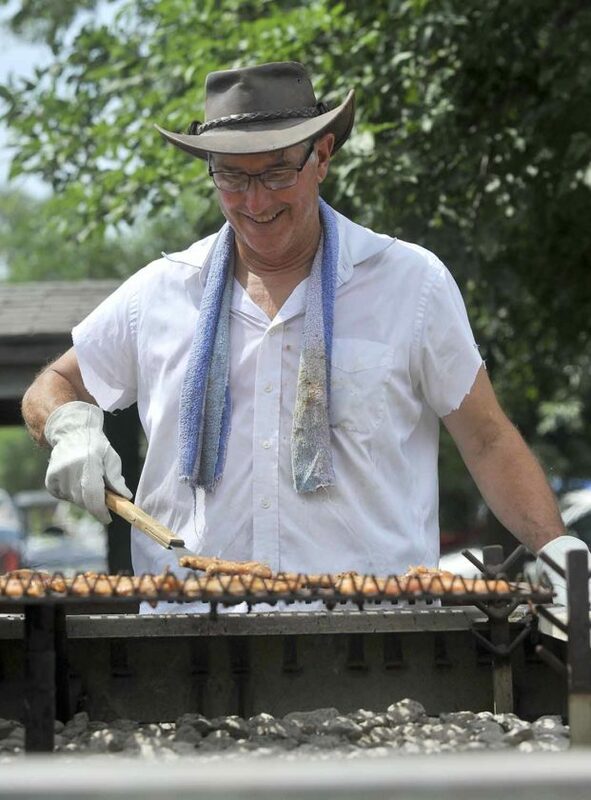 State Rep. Mike Sexton, R-Rockwell City, helps with the grilling chores Friday morning at the Calhoun County Farm Bureau Pork BBQ at the Calhoun County Expo in Rockwell City. 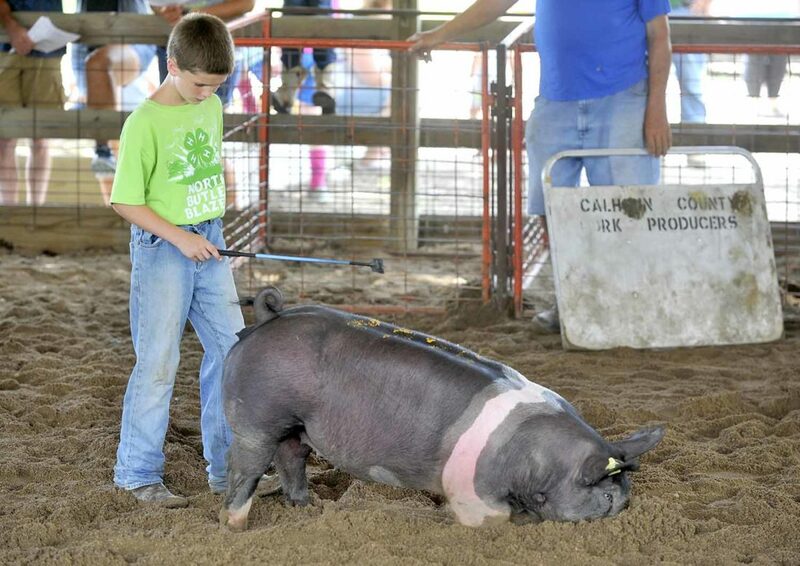 ROCKWELL CITY — One of the swine belonging to Thomas Stangl, 11, of Pomeroy, was living up to its name Friday morning in the show ring at the Calhoun County Expo. Stangl calls his pig Missile. 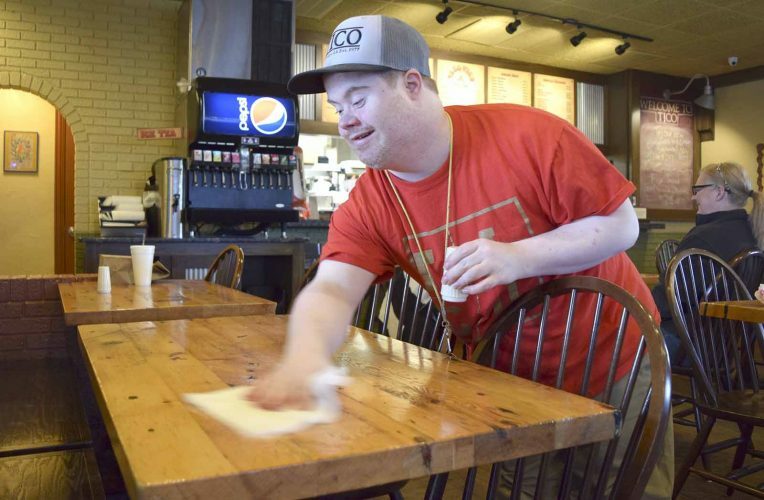 “When we worked with him he just passed through and barged in,” he said. In the ring, Missile used his snout to burrow into the cool, wet sand in the arena. He didn’t want to walk around. Stangl’s No. 1 interest at the Expo? He enjoys many aspects of the Expo. Aiden Melody, 7, of Lake City, was going to show his bottle lamb, Snowball. Getting ready for the fair means work. “We shear it, walk it, work with it and clean up.” he said. 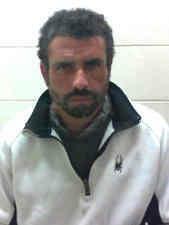 His mom, Breanne Melody, echoed the last sentiment. “We’re doing a lot of that,” she said. 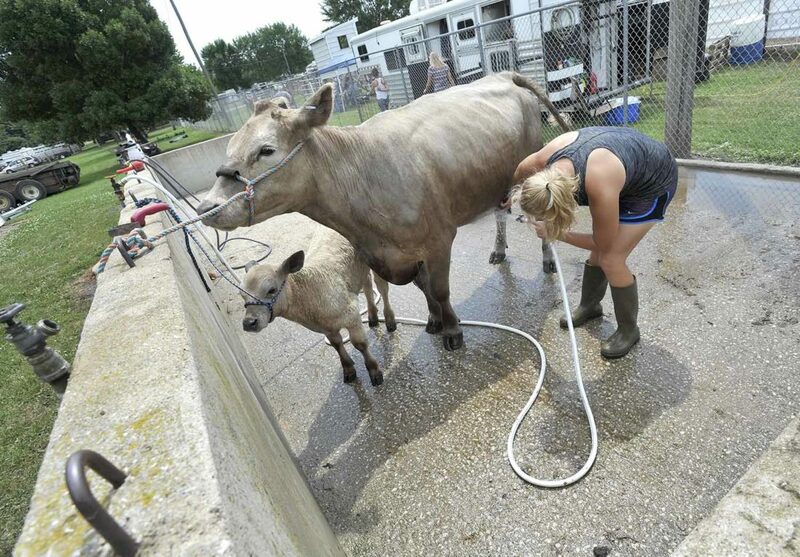 Bailey Vainreb, a member of the Pilot Creek FFA Chapter, was showing cattle that included Flash, a crossbred steer and Smoke and Little Smoke, a cow/calf Charolais. Vainreb is back from college at South Dakota State University in Brookings, South Dakota. She’s also enjoying seeing old friends and like so many other youth in both 4-H and FFA, seeing what hard work can do. “All of your hard work pays off.” she said. There’s a lot of fun things to check out at the fair. 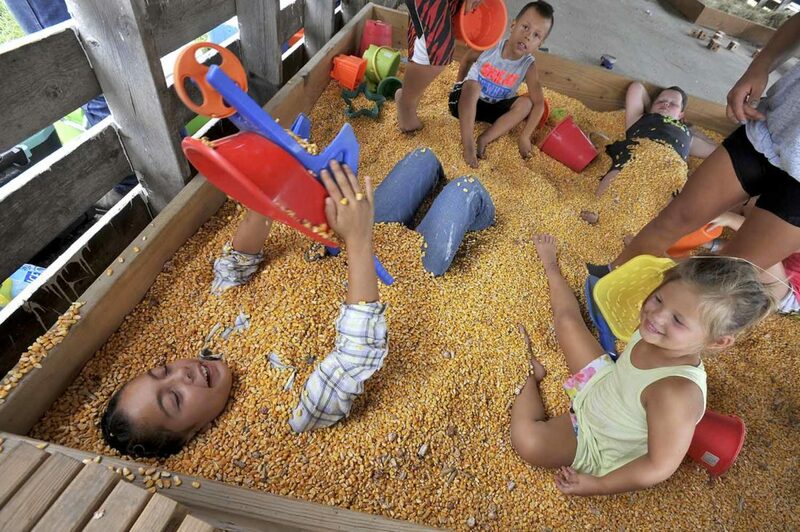 The Family Fun Barn offers a bin full of corn to play in. Tyjah Sease, 12, of Rockwell City, a member of the Logan Larks 4-H Club, got into the bin and let her friends cover her with corn. 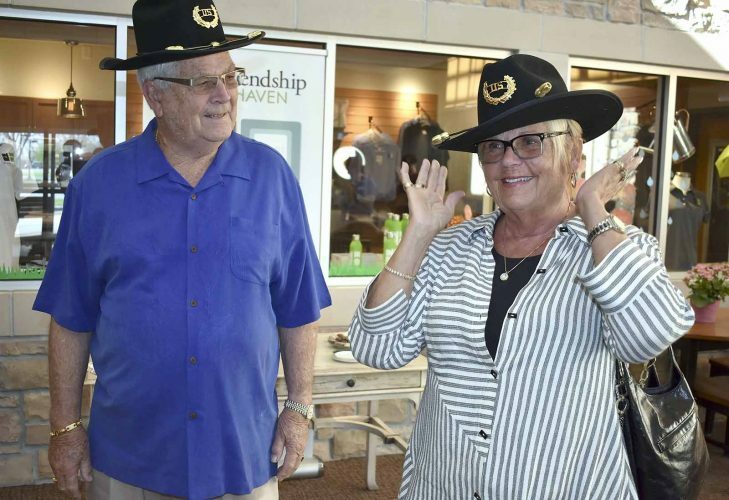 “It felt like a lot of weight pressing down on you,” she said. A toy wheelbarrow kept the corn off her face. “I couldn’t see a thing,” she said. The Calhoun County Expo continues today and Sunday.